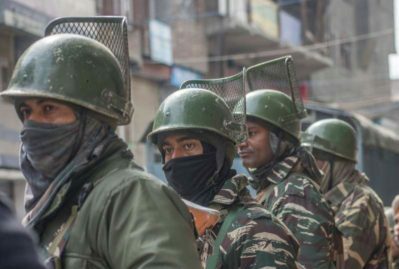 Jammu and Kashmir’s Director General of Police Dilbag Singh on Monday night said that a would-be Hizbul Mujahideen “suicide bomber” tried to repeat Pulwama-like attack on a CRPF convoy in Ramban on March 30. Owais Amin, the suspect, was arrested Sunday night and has confessed to his crime, Singh said at a press conference here late evening. Amin is said to be from Shopian in South Kashmir. A CRPF convoy from Srinagar to Jammu had a narrow escape when a Santro car exploded at Tethar, seven kms from Banihal in Ramban district on March 30. The car explosion around 10:30 am had slightly damaged a CRPF bus and there was no loss of life or injuries to the CRPF personnel. The DGP said that following the car explosion, police along with security forces launched investigations during which an unexploded IED was recovered. Saturn can also bring unusual Results in the General Elections of the Lok Sabha 2019. Since Saturn is a bitter enemy of the King and the Royal People it also has the Capacity to Turn the table and un expected Results may emerge Please note this Parameter , it can Prove some thing unusual also . Since the Elections will take place after the 5th April 2019 the Govt. will face difficulties at every level and Strikes, Representations, Processions against the Ruling Govt. Modi may face the toughest time in his regime of 5 years at the fag end . The Best Saving is the Sun and the Moon are not afflicted , and the 9th Lord in the 6th house dont forget it is also a Rajyoga since the 9th Lord is Placed in the 10th from the 9th house and that also from the Luminaries for the Present King. Saturn aspect on the 3rd house and the 3rd Lord Mercury Fallen indicates that there could be Boarder clashes,Traffic, Rail, Aeroplanes, Automobiles may be adversely influenced . The Armed Forces come into play since the 7th house is also war and enemies , international affairs may be the Breaking News , Loss or Gain of Land in War. China and Pakistan May try to create disturbances indirectly or even directly cannot be ruled out and Mercury at the time of the Ist Attack was Retrograde hence there could be Multiple attackes by Pakistan and Minimum 3 which could be of a strong dimension. Hence the Fortnight starting from the 5th April 2019 could be an enigmatic one specially after 6th April to 27th April when Mars will be in the sign Taurus and also in Rohini Nakshatra. The Parameter is extremely malefiuc for the world as well and Terrorism in US cannot be ruled out since it is absolutely Parallel to the 11th Sept 2001 World Trade Centre Terrorist Attack.Terrorism in the World, Europe where Mazoor Ahzar Properties have been sealed cannot be ruled out in this Fortnight .